Over the weekend we were in full swing baking and decorating for the holidays. If you follow us on Instagram you probably saw that we broke out the Christmas decorations while Joe was at work. I just couldn’t wait any longer! It’s so much fun now that both girls get excited over holiday traditions and Riley’s little voice when she’s singing Christmas carols is adorable. 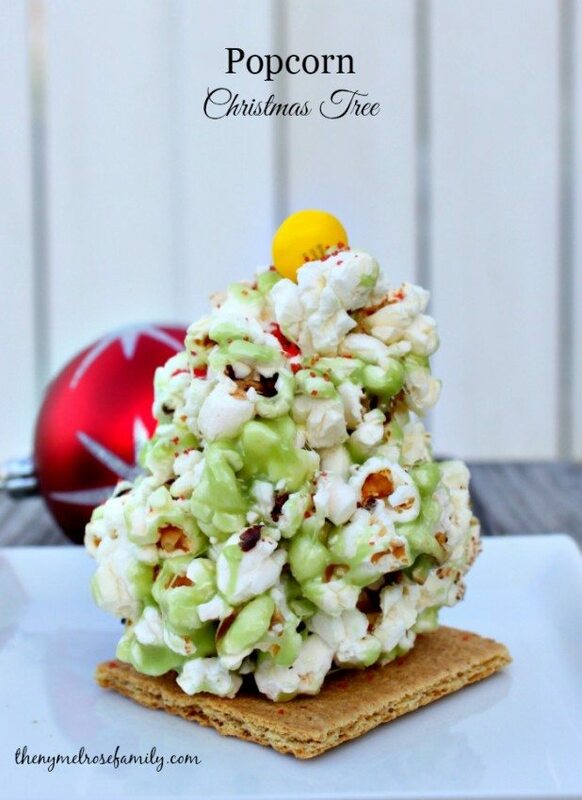 We decided to celebrate with these Popcorn Christmas Trees. They’re only 3 ingredients so they’re a snap to put together with the kids. 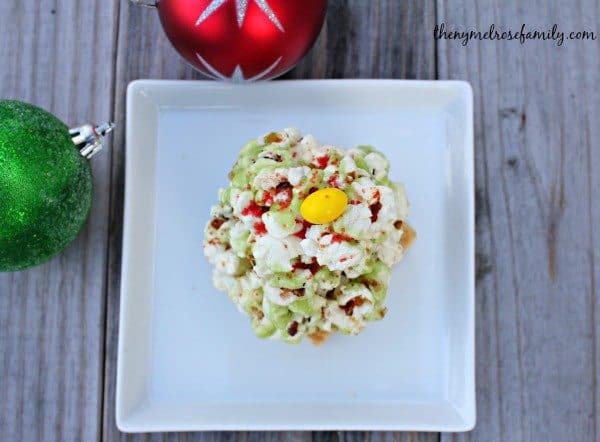 One of my favorite snacks to make for just about every holiday is a popcorn recipe. I love adding sweet and salty flavors together. I have a definite sugar tooth and one of my favorite ways to add a little bit of sweetness is with chocolate. These Christmas Trees were simple to make with only 3 ingredients, but they were also fun for my girls to watch them come together. Riley especially liked being able to dust the tree with the red sugar at the end. She can’t wait to decorate our own tree so this was a great way to get excited for that. 2 – 3 Graham crackers or cookies to place the trees on top of. In a medium saucepan heat 1 TBS of butter and add in half of the bag of marshmallows. Meanwhile, pop the popcorn according to the package instructions. Consistently stir the marshmallow mixture until the marshmallows lose their form and there are no lumps. Add in the food coloring to change the color of the mixture. 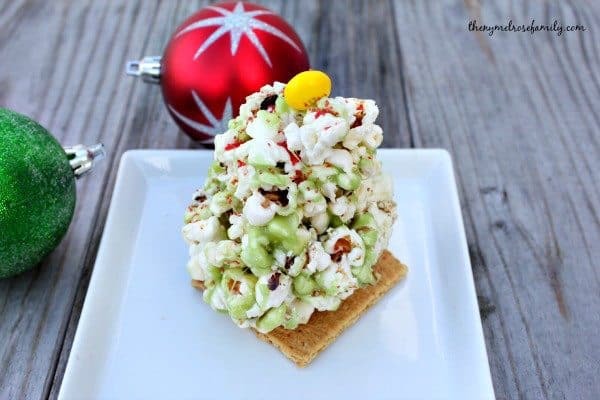 Pour half of the popped popcorn onto a cookie sheet lined with parchment paper and be sure to remove any unpopped kernels. 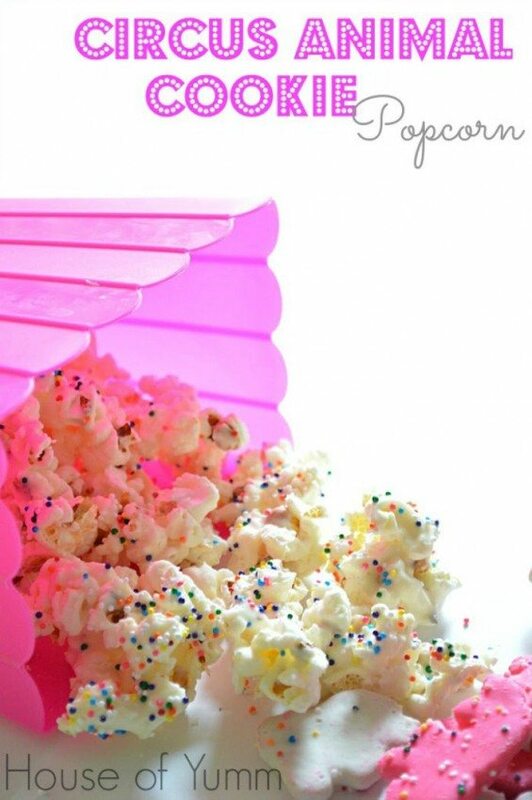 Pour the marshmallow mixture over the popcorn. Once the mixture has cooled enough that you can hold it begin to mold it into the shape of a tree. Depending upon the size of your trees you should be able to make 2 – 3 trees. Set the trees on top of half of a Graham Cracker or cookie that it can adhere to. 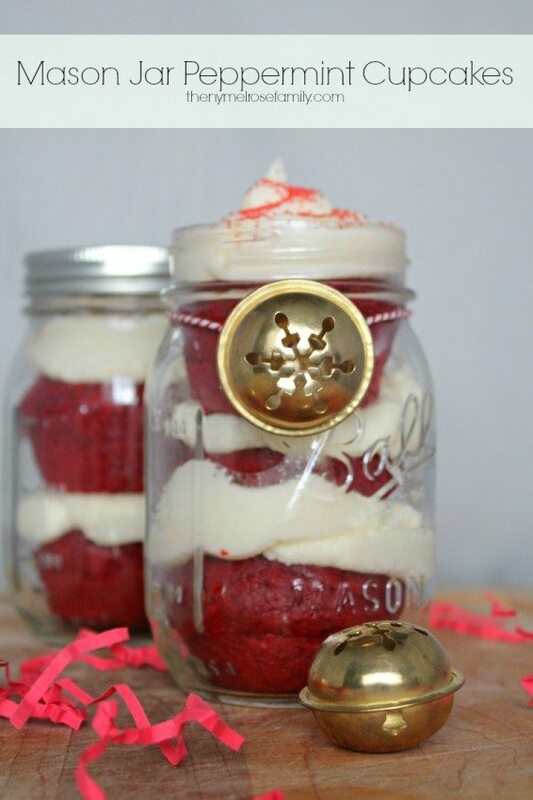 Sprinkle the trees with sprinkles and add candy as decorations. Repeat the marshmallow mixture with the remaining half of the popcorn. This should yield about 4 – 6 trees, but will depend upon the size of your trees.